After the sudden passing of hard-hitting Flagler Sheriff Homer Brooks in 1965, Zip Edmondson was elected in a special election to lead his fellow deputies as Flagler County's next Sheriff. Having served as a Deputy Sheriff with the Sheriff's Office, Sheriff Edmondson was ready to step up and take charge. A Kentucky man, Sheriff Edmondson relocated to Jacksonville, Florida where he found work with the Hooper Construction Company, later moving to Flagler County in 1935. He would serve in World War II as an enlisted service member in the United States Army before his career in law enforcement. In July 1953, Edmondson became the Chief of Police for Bunnell for four years, stepping away from the Flagler County Sheriff’s Office to take the job according to Flagler Tribune. At the age of forty-three, Edmondson, who had previously run for the Office of Sheriff in 1956 and 1960, was elected to fill the remaining term of Sheriff Brooks. Taking the helm in April 1965, one of the first changes Sheriff Edmondson requested less than a month later was the addition of a juvenile wing for the jail. The Flagler County Board of County Commissioners approved the request and four separate rooms housing four bunks each were added along with a cell for "violently insane" prisoners at the cost of $10,816.87. The new wing was unveiled to the community in September of 1965. Edmondson set about enhancing the professionalism of the sheriff’s office with training for deputies through the Florida Sheriff’s Bureau in Tallahassee, now known as the Florida Sheriff's Association. It was during his tenure that ITT Development Corporation started planning and building a new community called Palm Coast. Taking on the changing face of criminal activity in the area, the Flagler County Sheriff’s Office went from disrupting illegal liquor operations to burning massive marijuana crops that were springing up around the county. Sheriff Edmondson also started the Agency’s first joint agency task force on drug abuse and the effects it has on our youth. Sheriff Edmondson’s most notable case came early in his tenure as Sheriff. The incident occurred in November 1967 when two young men were found murdered along U.S. Highway 1 just south of Bunnell. Identifying the men by piecing together clues from personal items found with them, Sheriff Edmondson worked with the Federal Bureau of Investigation to track down the culprit responsible for the murders in what would be a cross-country case. In March of 1969 the murderer was sentenced to twenty years for the deaths of the two men. The case would earn Sheriff Edmondson an award for his relentless work and recognition from “Official Detective Magazine” with a detailed account of the investigation in their May 1969 magazine. This would not be the only high profile murder case Edmondson would work on during his time as Sheriff and in January 1980, a body found in the county shell pit would culminate with the discovery of an auto theft from a local car dealer by a former employee and murder charges. 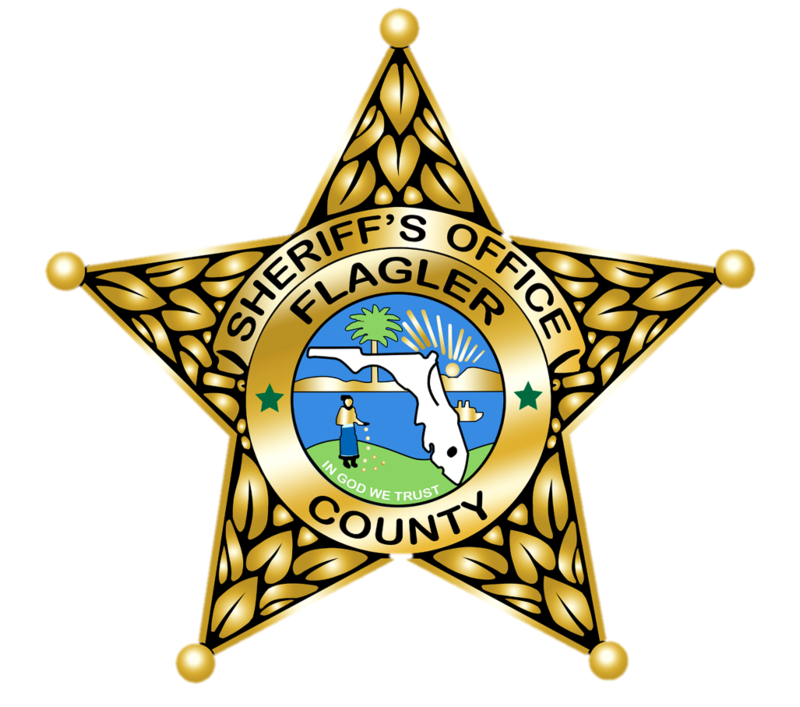 According to the Flagler Tribune, the 1979 crime statistics show that violent crimes in Flagler County had a 100% clearance rate. In 1974 the old Flagler County Courthouse was firebombed to protest the arrest of an African-American youth arrested on minor charges. Three teenagers were arrested and charged with this crime. Sheriff Edmondson faced a serious health crisis in the spring of 1978, plaguing him until the fall and keeping him hospital bound for months. He lost a portion of his leg to diabetes and used a prosthetic leg and a cane to get around. Upon his return, Sheriff Edmondson continued working to increase professionalism and staffing levels in the sheriff’s office. In 1978, Sheriff Edmondson had ten full-time deputies and sought to add two more deputies to handle Flagler County growth. In addition, the Sheriff's Office had two jailers who oversaw thirty-eight inmates in the county’s jail. However, Sheriff Edmondson would face his greatest challenge during the next election cycle, coming up against Flagler Beach Police Chief Dan Bennett and Edmondson was defeated in his re-election attempt. His medical issues and the use of a cane would play a role in his re-election loss.